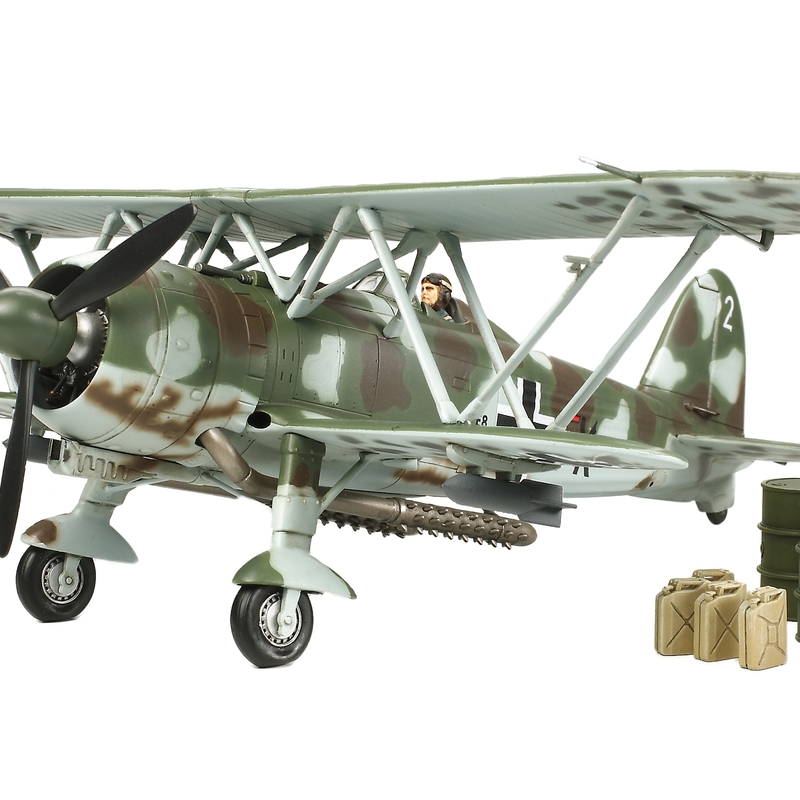 The Fiat CR42 Falco was Italy"s main fighter at the start of WWII and was based on earlier successful biplane designs. It was essentially a modernized biplane, with a metal fuselage frame, aluminum wing frames, and smooth fairings for its fixed landing gear. 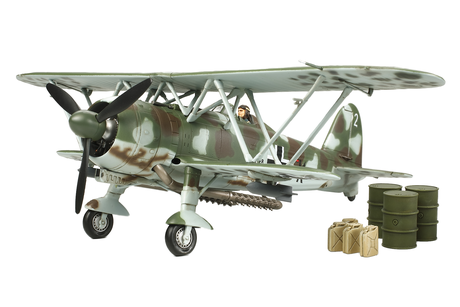 Like other contemporary biplane fighters, it had excellent maneuverability, but was outdated when WWII began. Nonetheless, it proved useful in the Mediterranean theater and was used extensively in the ground attack role. When Italy surrendered in 1943, German forces took over existing Italian hardware for their own use, and they employed the CR42 in night harassment, anti partisan, and trainer roles in both Italy and the Balkans.